Since the 1970s there has been a revival of Irish traditions in New Zealand, with renewed celebrations of St Patrick's Day and the emergence of Irish pubs. 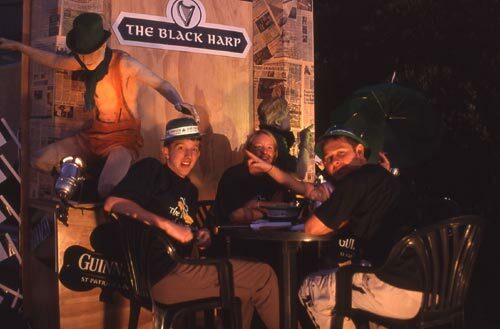 This float was sponsored by the Black Harp, an Irish-style pub, for Wellington’s St Patrick's Day celebrations in 2003. Mr Philip's assertion that the Irish brought their problems with them is nearly true. In fact their problems were already here - the English.